There is great appeal that approaches when you start talking about new homes. There is a lot of excitement and you get to pick out new counter tops, drapes, and colors. Also, newer homes typically come with those beautiful stainless steel appliances everyone loves and have everything designed the way you want it. Brand new homes also tend to be more spacious, and no immediate fixing needs to be done. Everything is new, and often times most of everything from the home itself, to all of the appliances come with great warranties. This gives you more ease in the first few years of ownership as most upkeep of expenses are covered in your purchased warranties. While there is loads of charm to buying a brand new home, consider a few things first before signing on the dotted line. Remember, people are human and we all make mistakes. Thoroughly interview the builder and make sure they are responsible people. There have been plenty of people who have purchased a newly built home, and have had the builder disappear after closing and the buyer never hear from them again. Make sure you are dealing with good people. Another thing to consider is location. Most new contractors build in open land, further out from bigger cities and suburbs, so if you are the kinda of folks who enjoy being in town and in the midst of everything, this could very well be a big deciding factor for you. This could also take time out of your day with lengthier commutes to work and also to and from dance recitals and t-ball practices for the kids. Landscaping is another thing to consider, small maybe, but to some this is very important. If you do buy a newer constructed home, most contractors will not construct the landscape design, so think dollar signs here as well. Lowe’s and The Home Depot offer great selections and prices on delivery of trees and plants. 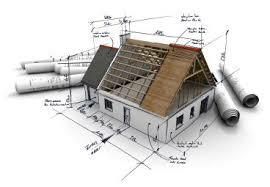 Lastly, keep in mind new constructions are starting from scratch. Everything has to be inspected, which can cause delays and push back closing dates when under contract. There are great advantages to buying new, but consider the small things as well, before purchasing. This is a huge purchase, and for the some people, the biggest purchase they will ever make, so be sure to be wise and cover all your basis.